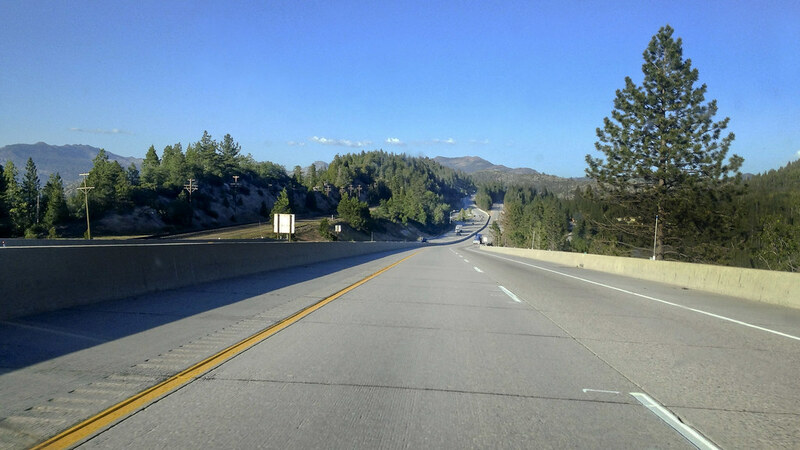 Road tripping across America an experience both dramatic and (in the age of Interstate highways) mundane. When I made this trip three years ago, I documented it in a photoessay. Traveling the reverse direction, from the sprawl of the East Coast to the wide-open West, has been a more dramatic experience. The downside? Making the trip at the Winter Solstice has meant much less time each day for capturing the experience. 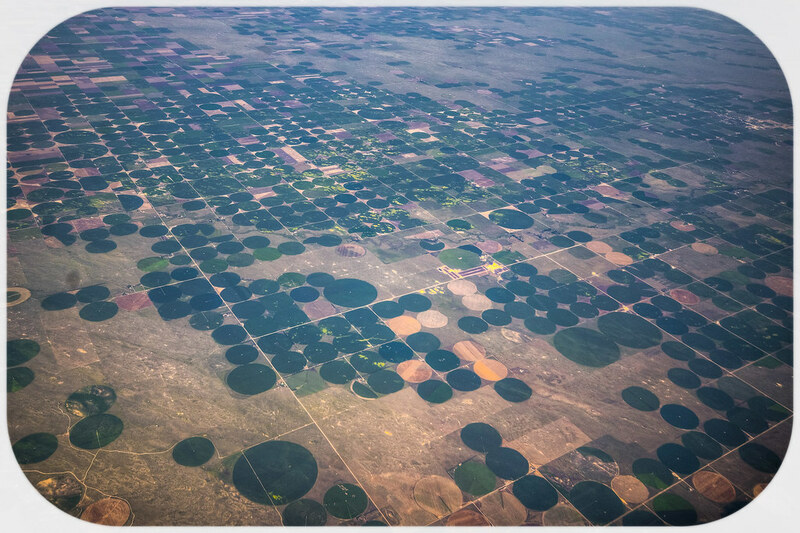 From the human-scale intimacy of family life yesterday, I wanted to contrast at the other extreme: the irrigation-induced circles of the central United States in an otherwise barren landscape. 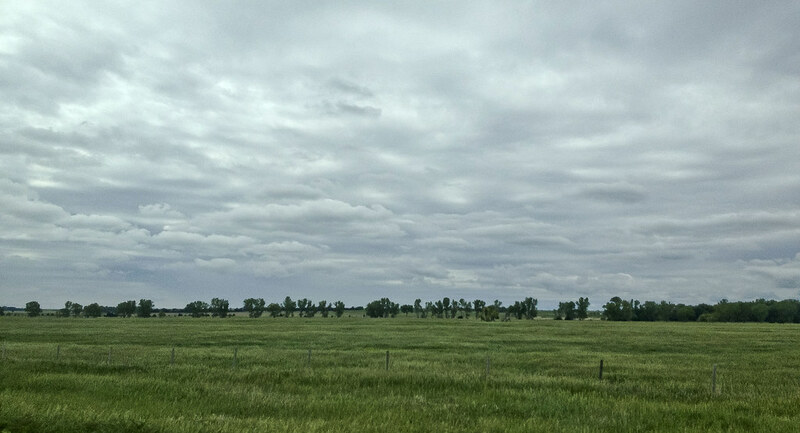 Particularly as spring (and photosynthetic life) begin to dominate the countryside, I wanted to reflect on the role of humans in that transformation. I can’t decide if the title is a play on “Manifest Destiny” or a command in the style of Magic: the Gathering (“Manifest: Land Use!”). 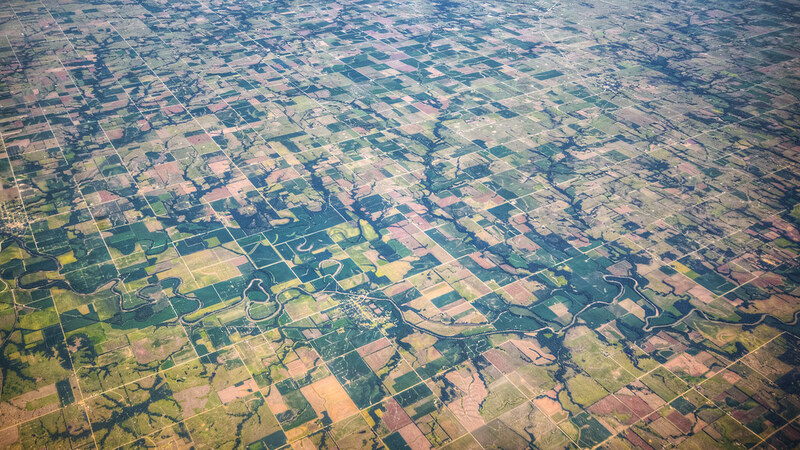 Either way, this shot from high above the American Midwest conveys the limitless (if bland) expanse of the region. The Great American Road Trip is a rite of passage (literally) and an occurrence woven deep into the psyche of the twentieth century. The creation of the Interstate Highway System fundamentally changed travel in North America (and lead to numerous fantastic movies in the second half of the century.) 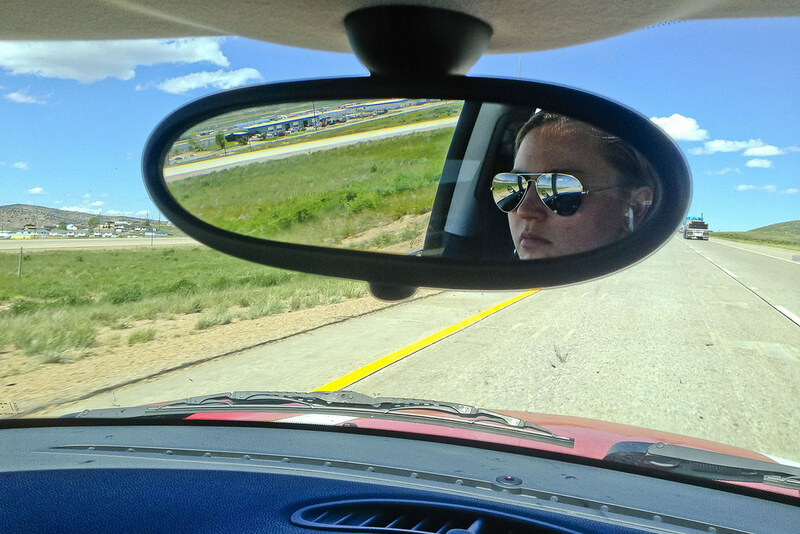 Here is my own experience of a just such a road trip. 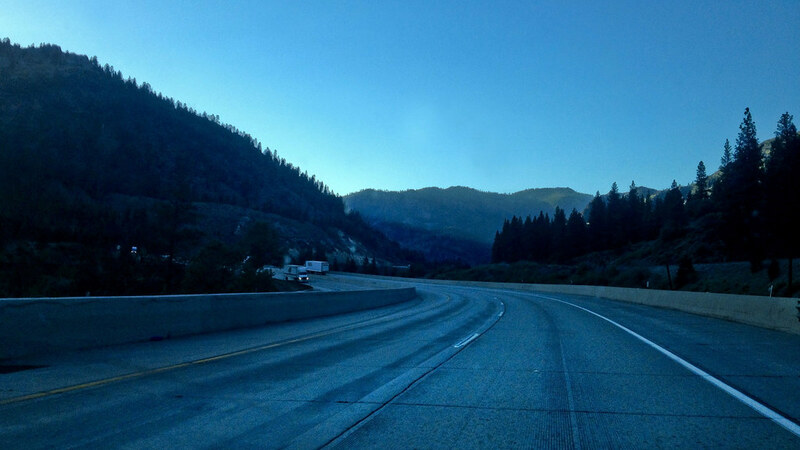 We got a late start out of Berkeley, and climbed up to the chain-scarred roads of I-80 around Tahoe. Rolling mountains, oddly bare of snow, and curving roads of long shadows. Between the mountains were the broad fields of scrub brush that survive the winters here. 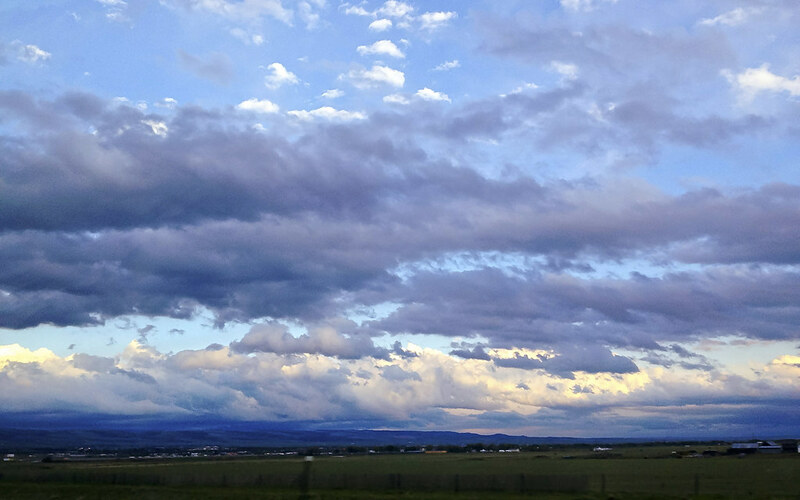 The sky was Norman-Rockwell-esque blue (not that he painted landscapes, but in the sense of being all-American) and the clouds were perfect. As night fell, blues dominated the sweep of the highway and we headed for the Nevada border. In Nevada, without as many hills to block the sunlight, time seemed to move backwards for a moment. 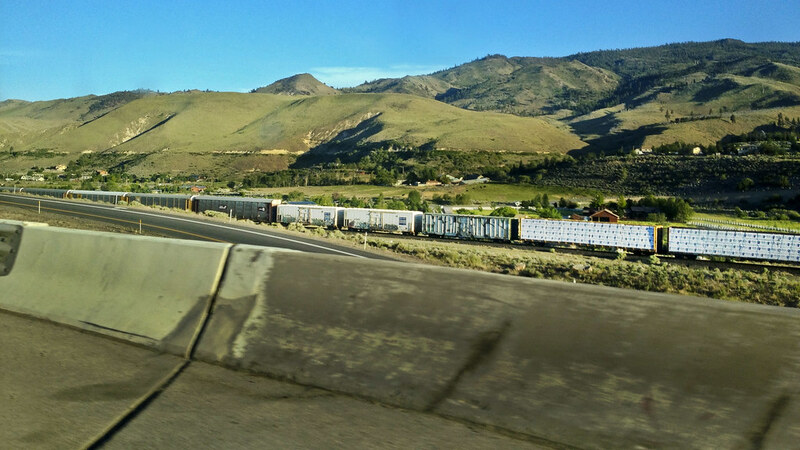 We raced a train and basked in the last glow of Pacific-time-zone light. The hills kept rolling in the distance, but the high forests transitioned into real desert. 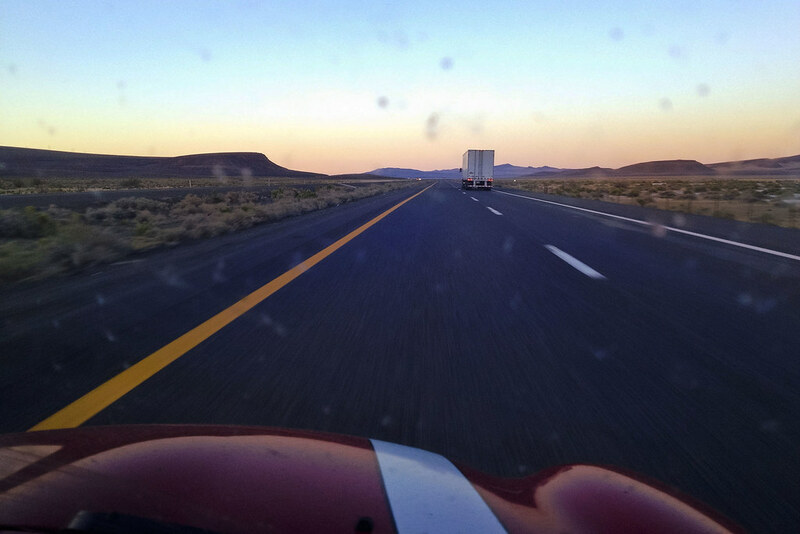 The highway straightened out, we had another caffeinated beverage, and marveled at the sheer number of insects that left their marks on the windscreen. The effect was something like an evil, exoskeletal rain. 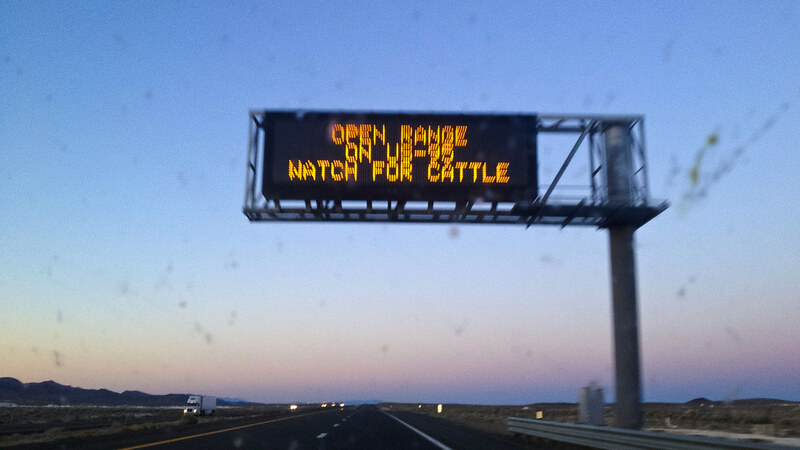 I hadn’t appreciated how far removed we were from civilization in just half a day’s travel until I saw this particular sign. Note again the grotesque bug strikes decorating the image, for the full effect. The next morning, we covered the deserted deserts of eastern Nevada, marveling at the Atomic-age, Tatooine-esque landscape. 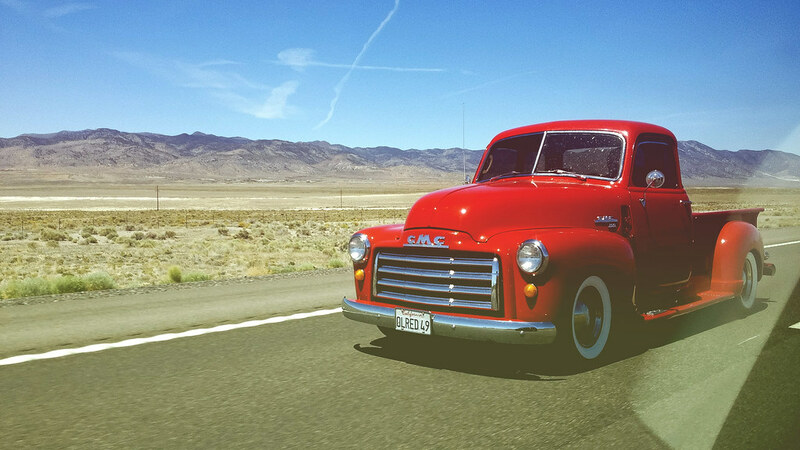 Along the way, we drove side-by-side with a fellow red car: this fantastic truck—Old Red. The V8 rumble became part of the landscape while we were together. 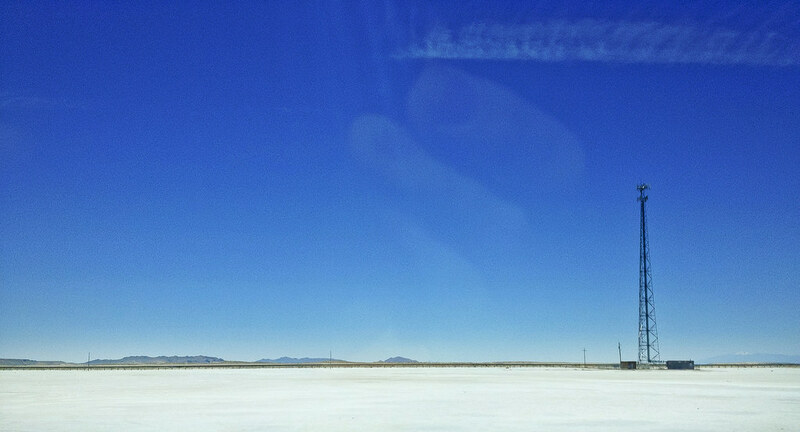 Crossing the hills, we found ourselves in western Utah, the site of the famous Bonneville Salt Flats. Flat, white salt, laid out to the rough crumbs of hills at the horizon, were only interrupted by the occasionally man-made perturbation. 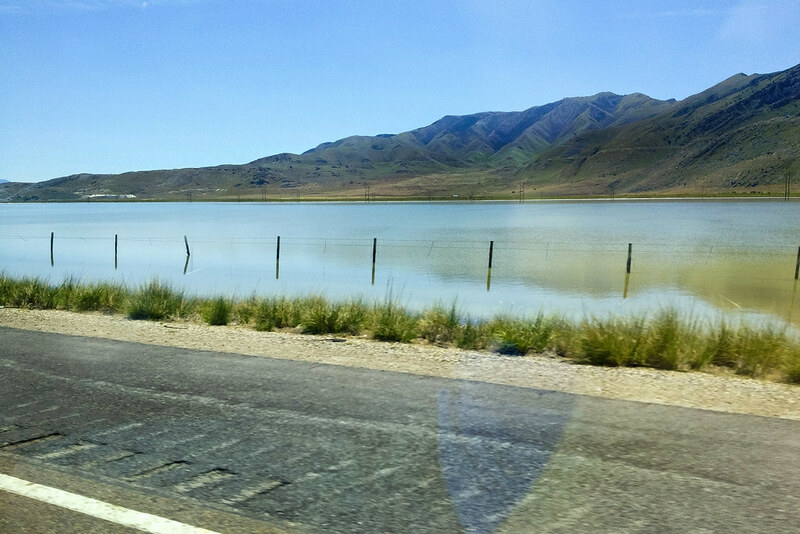 As we got closer to Salt Lake City, however, the hills became greener and the salt flats flooded. Life seemed to have returned, and our insane trip across the desert tapered back into civilization. Passing through Salt Lake City was the familiar combination of ramps and interchanges that decorates the exurbs of any major metropolitan area. 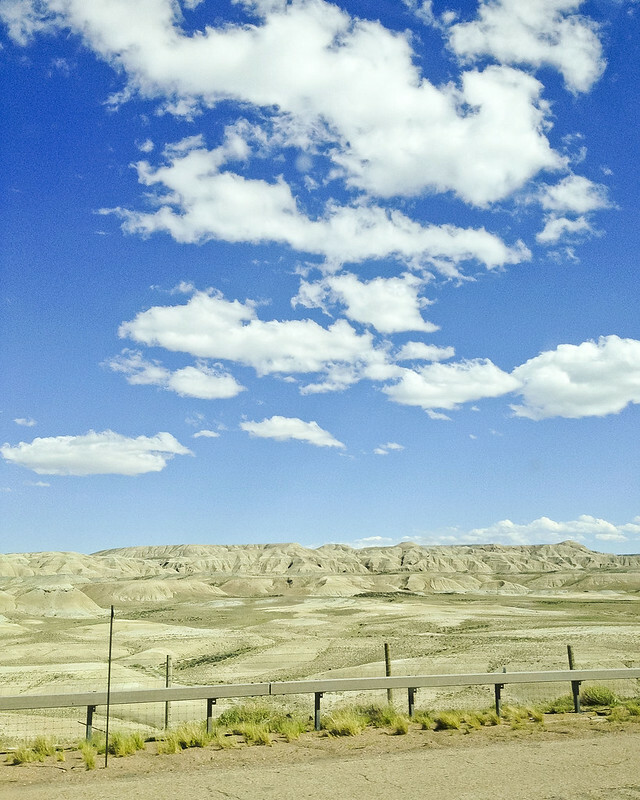 Before we knew it, we were passing through more hills and into the hugeness of Wyoming. Piper was at the wheel, and the optical ouroboros of reflection between mirrorshades and horizon exaggerated the landscape into new projections. 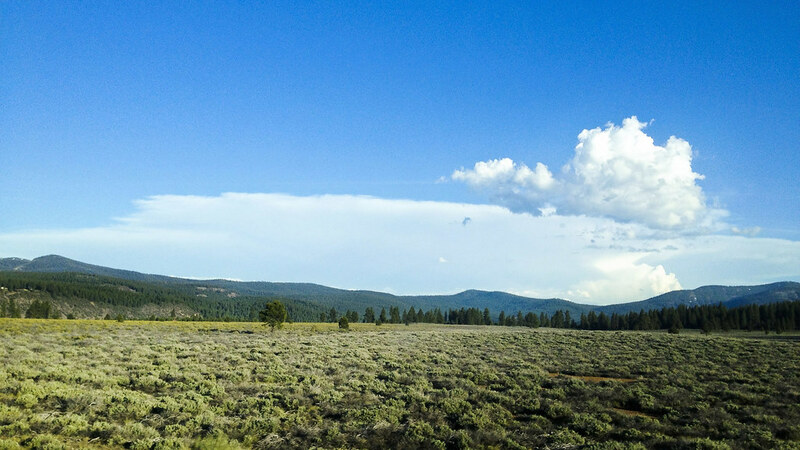 Particularly coming from the empty forever-blue skies of California in the summer, we were astonished to see clouds. They made the sky seem taller an bigger and more of an infinite dome than we had ever before realized. 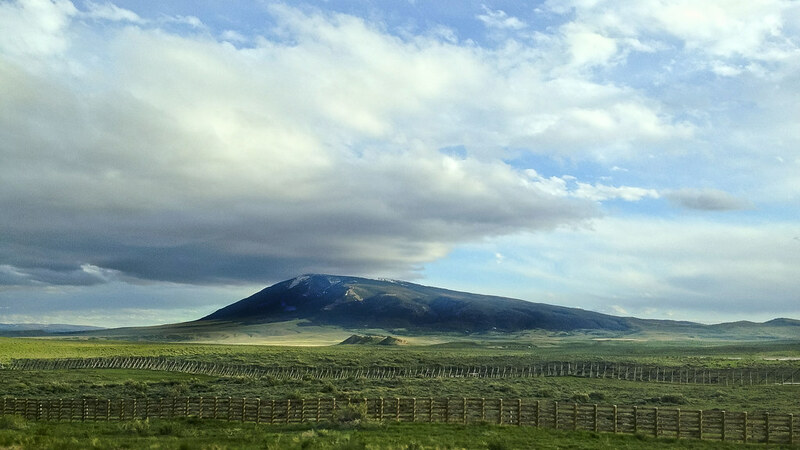 The landscape returned to empty desert from the green hills of eastern Utah. Despite being close to Salt Lake City, Wyoming had its own aesthetic identity. As the day wore on, the clouds continued to gather. The dome became a flat ceiling. Along the way, we marveled at the snow fences, designed to prevent runaway snow drifts in the winter, and signs warning us of turnaround points. It all seemed to surreal in the summer, but when the rain arrived later, we could imagine the ferocity that an equivalent blizzard would bring. 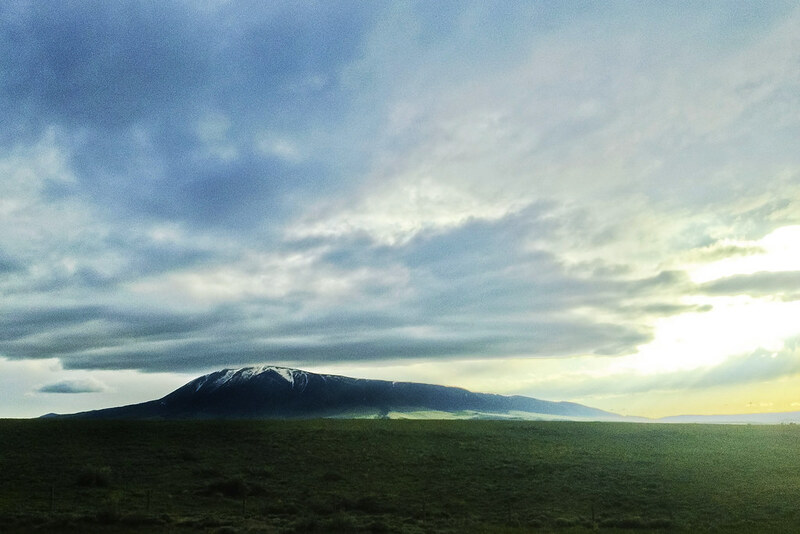 To appreciate the scale of Wyoming: day has passed into night, and we’d traveled no farther from the hill in the image above; now, we saw it from the other side. Spots of snow still hid in the June shade. Every ten minutes, the clouds changed again. Sprawling settlements dotted the horizon, but they were generally too far off to be anything more than minor flavor to the landscape. 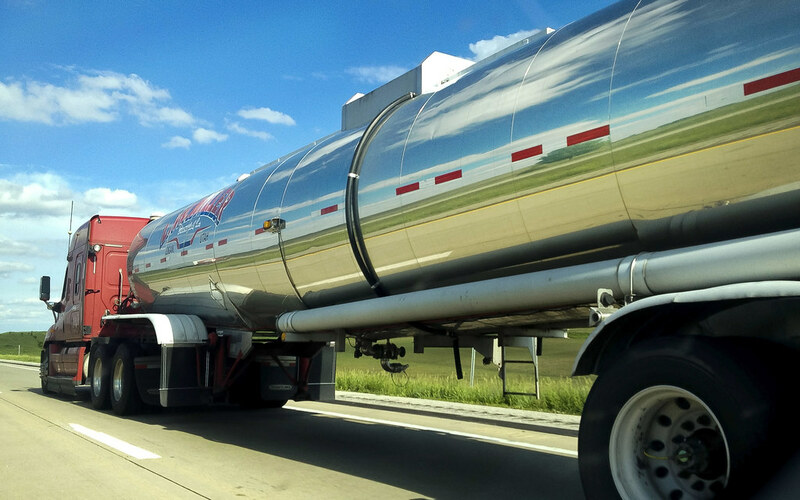 They were never part of the world of the highway. 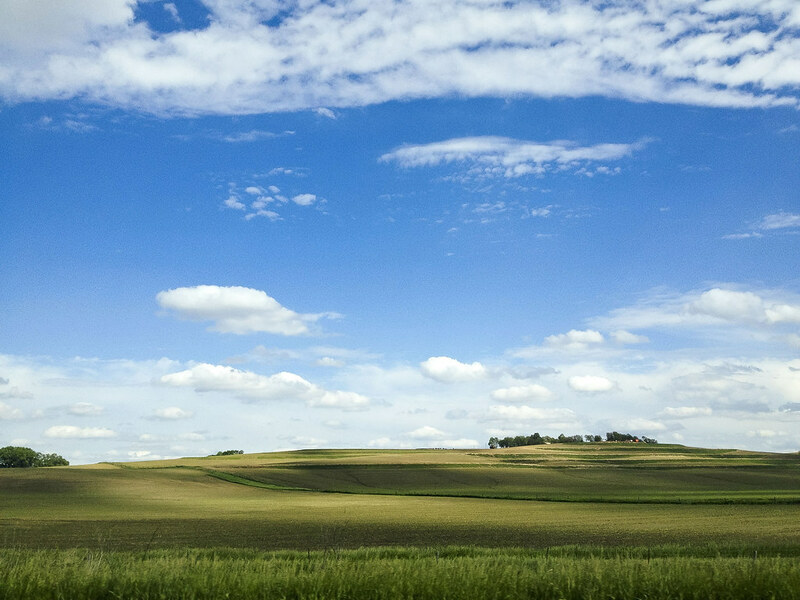 The fields of Nebraska gave way to the fields and hills of Iowa, and though both states have many things in common, the feeling was thoroughly different. Not only did the topography vary more, but the whole environment seemed to shift from “alien agrocorp” to “mom-and-pop hometown good times farm.” Far-off houses seemed charming and cozy instead of crass and isolated. 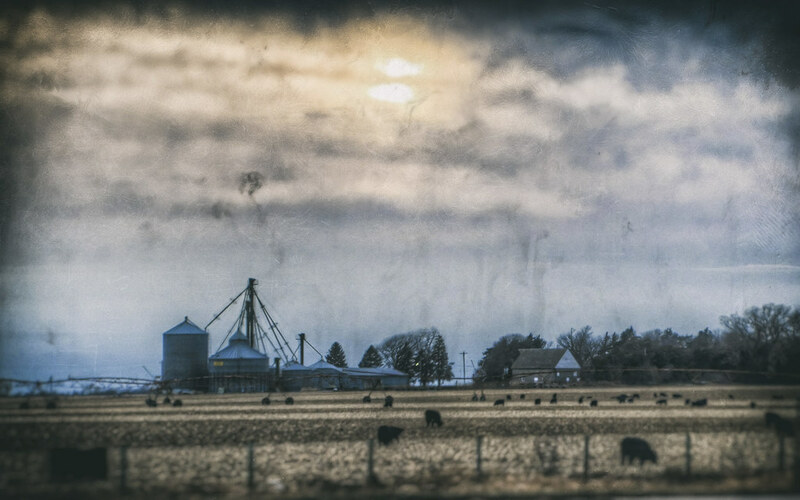 I struggle to describe Iowa without resorting to cliché; it is the most American place I’ve ever visited. 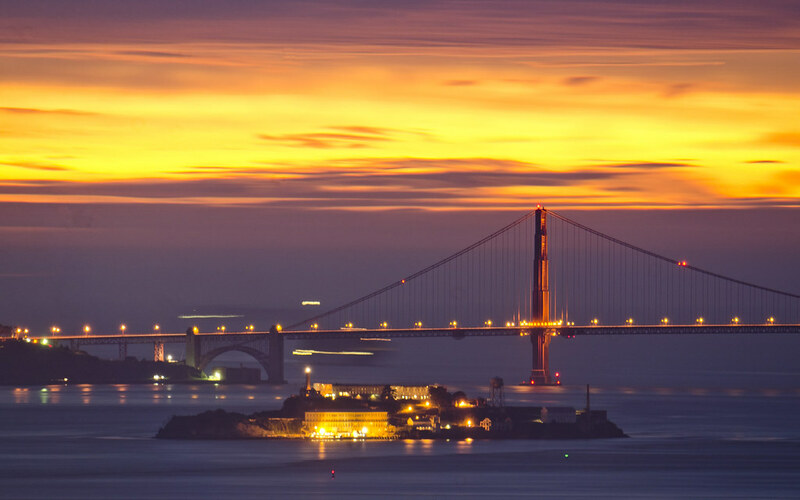 Every image of apple pie and baseball and muscle cars and baby boomers was emulated and amplified by this state, but with a degree of genuine charm that was hard to resist. From there, the photographs slow down. 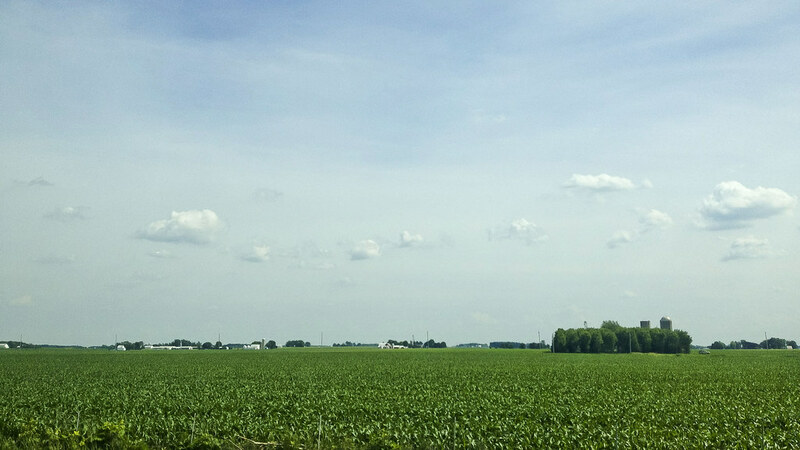 We spent time in Chicago for a week, recuperating from the journey (and visiting the lamplight horseshow and other Chicagoland sights that I’ve shown on Decaseconds in the past), and when we started back on the road to head to the east coast, the magic was gone. 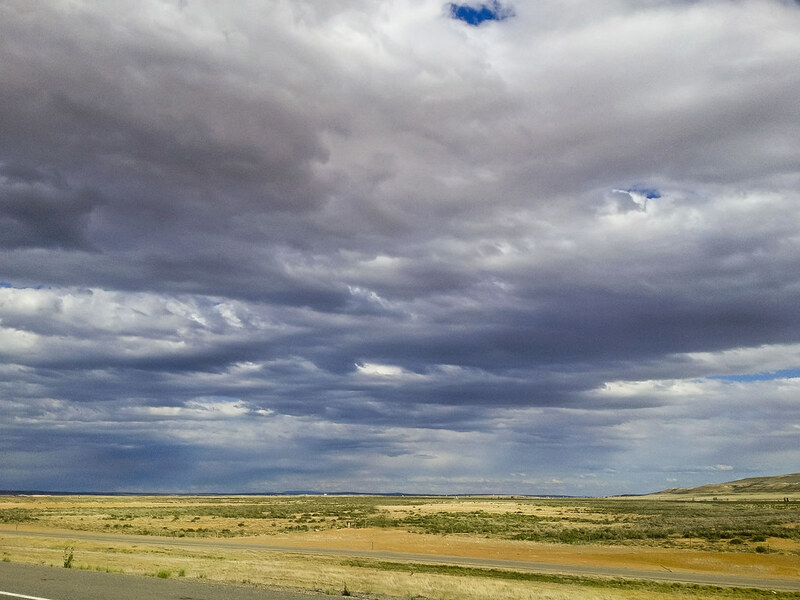 The road lacked the same empty deserts and crazy clouds of the west. Though the east has many things to recommend it, it doesn’t quite offer the same variety of imposing environment. 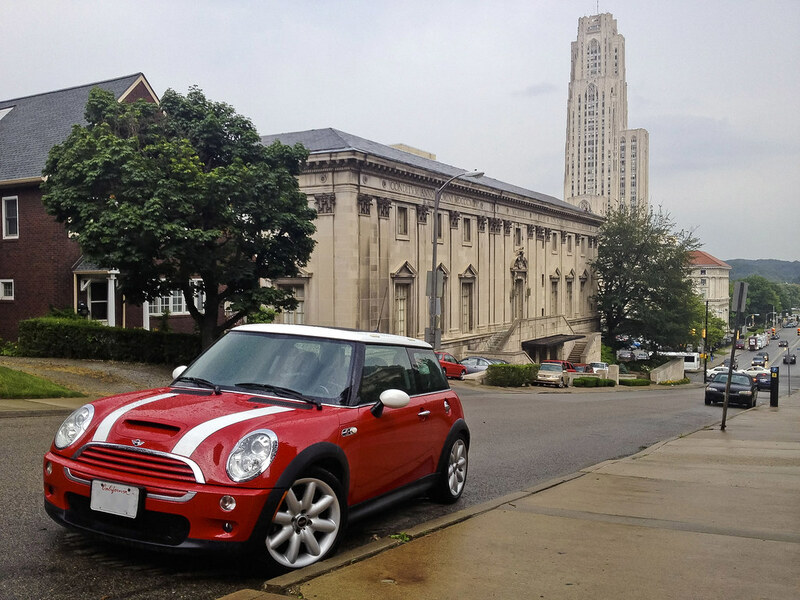 On the way to give a talk in Pittsburg, the Mini broke down (and was repaired), and when it returned to life I took this shot of it. (Note the Cathedral of Learning in the background.) The journey was nearing its end, and the industrial, old, stony cities of the eastern seaboard were the perfect contrast to the west. 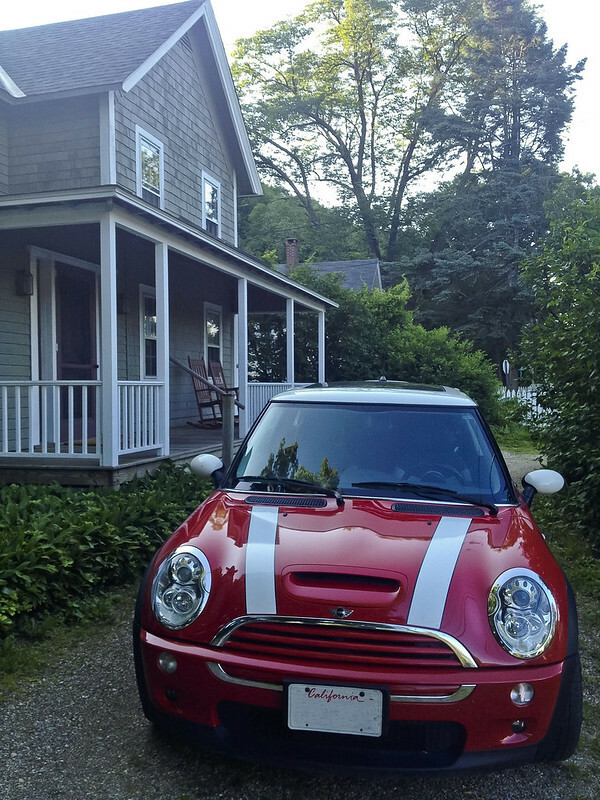 Finally, we rolled into Salisbury, Connecticut: comfort and home and quiet and safety after the road. In a way, this was coming back to my beginning. Not only had I been a boy here, but I also learned that I got the job that brought me to New York in this house. The impetus for my journey had brought be back to its origin. Though we still had much more to do to finish our move and establish our new home, just being in one place was enough for this moment. The day ended and that rocking chair on the porch was calling my name.